Have you ever experienced a tenant who is unhappy with the amount of their rental deposit they’ve receive back after a move-out? Deposit disputes happen when it comes to property rentals. The key is to reduce the burden that comes with dissatisfied tenants, filing of claims, and potential court cases. If more landlords had the necessary proof and documentation of their claims, we would see more landlords awarded their deposits. It all depends on the property manager providing quality and sufficient evidence to support their reasons for charges and repairs. Conducting detailed check-in and check-outinspections and keeping track of communication and correspondence with tenants, is the proof you’ll need in these types of disputes. By using property inspection software, landlords are able to get the paperwork, photos, move-in documentation they need to produce proof to substantiate their reasons behind charges and repairs required to fix damages. Have a fair contract in place. Make sure the contract you have in place is sufficient, with all of the necessary clauses and conditions.Outline what will occur if there is property damage. Don’t rely on a tenant agreement that you’ve pulled together by yourself. You need a legally binding contract that an attorney has reviewed and approved. Take a detailed and thorough inventory.There are professionally developed inventory checklist templates to make sure that you don’t miss covering anything during each inspection. When you conduct the move-in inspection, document everything. Through the use of management inspection software, you will go through every line of the inventory list with ease, make any necessary amendments, and have the tenant sign electronically. 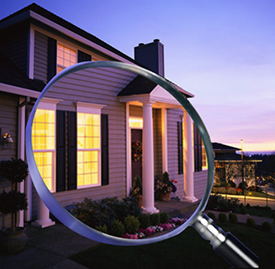 Photos provide the best documentation and using property inspection software ensures that you don’t miss anything and that it is adequately saved and documented. Later down the line when the tenant wants to move-out, you can revisit the initial inspection and have the tenant explain any noticeable damage that was not present at the time of move-in. Track correspondence with the tenant.Management inspection software can even assist you in monitoring your communication history with a tenant. You can easily take notes and access them when needed. You can also enter notes from the tenant during a move-in and move-out inspection. Overall you can generate inspection reports, assessments on the property’s condition at the time of check-in and check-out, as well as review photos all from the use of property management software. The last thing you want to experience is having insufficient evidence to support your claim of charges, repairs, and damages. As long as you’ve gone through every line of the professionally designed inventory and have communicated openly with the tenant, you’ll have adequate proof to support your legal claim if a rental deposit dispute ever arises.